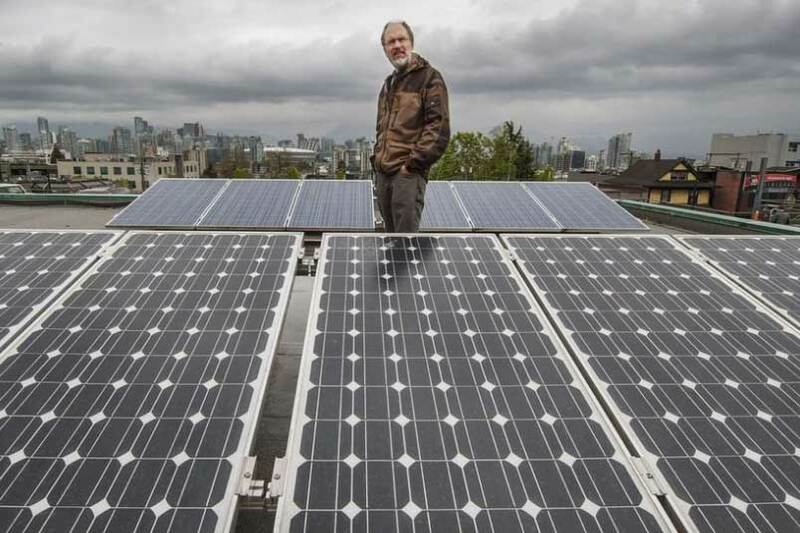 Op-ed: Can Vancouver achieve 100-per-cent renewable energy? Written by Keane Gruending, Communications Manager, Renewable Cities. This op-ed originally appeared in the November 5, 2017 edition of the Vancouver Sun. Two years ago, Vancouver city council approved a strategy to move the community off fossil fuels by 2050. For some, and given our current reliance on petroleum and natural gas, the city’s goal represents the unattainable. But none among those who study the issue contests the idea that the city can be powered and fuelled solely from renewable energy. Energy-modelling work done by both Navius Research, which was used as a foundation for the city’s Renewable City Strategy, and Simon Fraser University’s Energy and Materials Research Group confirm this possibility by 2050. Never mind the fact that a number of jurisdictions from around the world are also planning for 100-per-cent renewable energy, community-wide — including Portland, Ore., Victoria and Saanich. To be sure, there is a long road ahead. A report from the City of Vancouver pegs the community at 30-per-cent renewable and 70-per-cent fossil-fuel use. But to better understand Vancouver’s prospects, we need to take a deeper look at the future trends and opportunities for power, movement and heat. On electricity, B.C. is blessed with beyond-ample renewable energy resources, such as hydropower. Currently, well over 90 per cent of Vancouver’s electricity needs are already served from renewables. Undoubtedly, the need for renewable power will increase as the city pushes electricity for heating and transportation (think baseboard electric heaters and electric cars). Regardless, in some respects the electricity component for Vancouver is the easiest nut to crack. Whether the provincial government continues the Site C dam or instead selects a diverse portfolio of renewable sources, such as wind, solar and geothermal, B.C. Hydro is mandated to deliver 100-per-cent “clean or renewable” electricity, of which we have plenty. The future of renewable-power options looks relatively bright. Local rooftop solar or biomass electricity generation could also play a minor role in generating power in our neighbourhoods, but hydro is already clean, affordable and here. With regard to transportation, Vancouver has made good progress on the active side of the ledger. The important marker of 50 per cent of trips made by walking, cycling and transit was hit in 2015. This success reflects Vancouverites taking advantage of increasing mobility options, whether that’s cycling, car-sharing or transit, all of which lend to energy efficiency. Some of these options are already effectively running on 100-per-cent renewable energy, such as SkyTrain. Despite the progress on moving to active transportation, personal automobiles will still be needed in Vancouver for some time. Will electric cars save the day? According to Bloomberg New Energy Finance, it will take another decade before electric vehicles become cheaper than fossil-fuel-powered varieties on a lifetime, operating-cost basis. The research group also predicts electric vehicles will make up half of new-auto sales by 2040. Given these trends, municipalities alone will be hard-pressed to get people completely out of gas-powered vehicles. Though high fuel prices and cheap electricity in the Metro Vancouver region will help. Still, it will be more difficult to spur renewable energy-powered vehicles without the federal or provincial governments pushing auto manufacturers or implementing steeper carbon-pricing. For what it’s worth, both levels of government have signalled more climate-friendly policies are on the way. Perhaps the largest obstacle in reaching 100-per-cent renewable energy is for heating. In keeping with the priority of energy conservation, the City of Vancouver has created the Zero Emissions Building Plan and the Green Building Rezoning Policy. Both schemes ask new buildings to introduce energy-efficiency measures, such as through the increasingly popular Passive House standard. However, Vancouver will need to seriously address retrofits for existing buildings in order to achieve 100-per-cent renewable heating by 2050. Options exist such as heat pumps, electric heaters and transitioning to renewable natural gas or biomethane. But with the overwhelming majority of natural gas supplied in B.C. coming from fossil fuels, significant market development needs to occur to ensure a secure and affordable supply of the renewable kind, which can come from forestry waste, landfills and farms. Can Vancouver achieve 100-per-cent renewable energy? Yes. While all the answers aren’t available immediately, and support from the federal or provincial governments would be more than welcome, the argument against doing something because it’s challenging has never held water. Without a history of striving for challenging goals, Vancouver wouldn’t be the city it is today.